This dam is a favorite among locals to stop and stretch their legs. 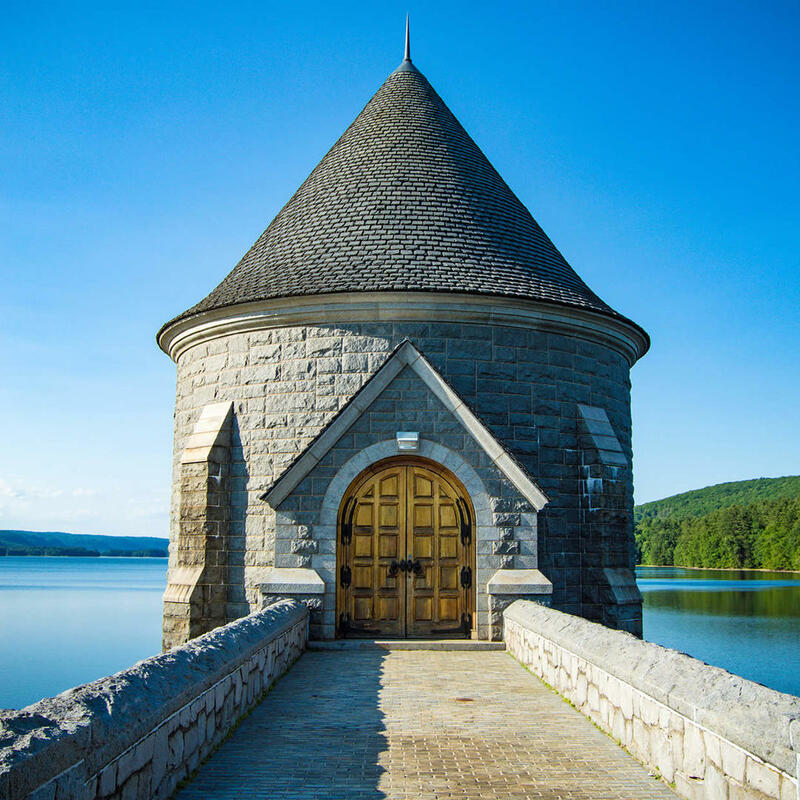 The Barkhamsted Reservoir is a peaceful, quiet place,and there are walking trails for people to enjoy. The tower is the centerpiece of the dam, a lone medieval turret, complete with a heavy drawbridge-style door fronted by a stone Roman arch bridge walkway. Any time of year is gorgeous here although past visitors often recommend autumn.